Geraldine “Gerry” Coomer, age 79, of Somerset, Kentucky, passed from this life on Friday, April 13, 2018 at her residence. She was born on July 25, 1938 in Eli, Kentucky, daughter of the late Delno Wilson and Elsie Meeks Wilson. 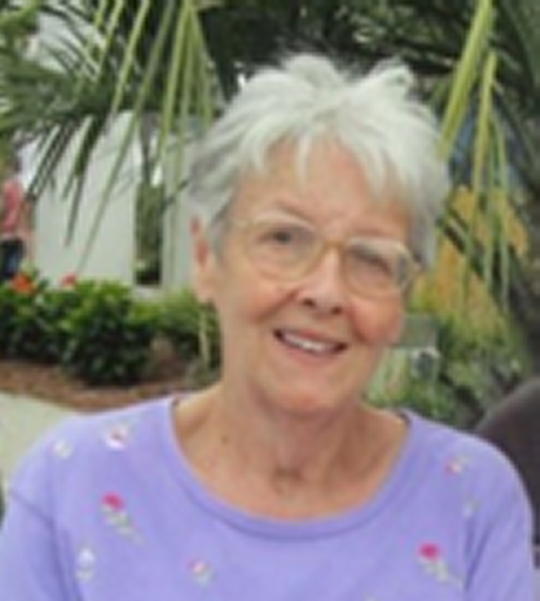 Gerry was a loving and caring mother and grandmother, She enjoyed bowling, painting and crafts and was a member of the quilting club at Ferguson United Methodist Church. Gerry was of the Baptist Faith and member of the Pleasant Hill Baptist Church. She was a kind and generous woman who was always willing to help others, she will be missed by those who knew and loved her. Besides her parents she is preceded in death by her loving husband; Joe Coomer who passed away September 27, 2010, three brothers; Ardis Wilson, Arless Wilson and Delno Wilson, Jr., two sisters; Lorene Hutcherson and Glenda Muse, grandson; Caleb and great-grandson; Alex. She leaves behind to cherish her precious memories her sons; Doug (Carla) Coomer and Michael Coomer of Somerset, daughters; Vicki (Charles) Schoolcraft of Somerset, Lisa (Jeff) Bryant of Science Hill and Jonna (Chris) Stayton of Somerset, brother; Doyle Wilson of Somerset and sister Linda Kay Wilson of Somerset, grandchildren; Jamie, Rebecca, Ashley, D. J., Ben, Cameron, Makayla, Rachael, Chance, Brandon and Cole, great-grandchildren; Madison, Cali, Abby, Halle, Austin, Brayden, Clayton, Mia, Aaliyah, Amaya and Aiden, sister-in-law; Doris Jean Bishop and special friend; Debbie Conaster. Visitation will be from 11:00 a.m. until 1:00 p.m. on Tuesday, April 17, 2018 in the Chapel of Southern Oaks Funeral Home. The Funeral Services will be at 1:00 p.m. in the Funeral Home Chapel with Bro. David Muse officiating. Interment will be in the Mill Springs National Cemetery in Nancy, Kentucky. In Lieu of Flowers, Contributions are suggested to Hospice of Lake Cumberland, 100 Parkway Drive, Somerset, Kentucky. 42503. Southern Oaks Funeral Home is entrusted with the arrangements for Mrs. Geraldine “Gerry” Coomer. My deepest condolences for your loss,Jerry to the families and those who lives were touch by her.Luke 23:43.